Sessions are open to the public but please RSVP at 216-421-2100 or via e-mail at: info@SHAD.org. OPTIONAL: Children age newborn to 10 years old can be tested for $5 with insurance or $15 without insurance to cover the lab fee. Learn about what lead is, where it may be hiding and the potential sources of exposure. Even though lead was banned from use in household paint and gasoline, find out why houses, including yards, are a serious danger today. • The importance of getting children tested on a regular basis to monitor their blood lead levels. 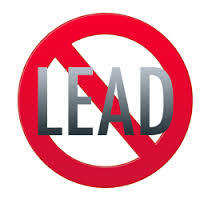 • How much lead is dangerous to the body and what actions should be taken for rising lead levels. • There are blood lead testing laws on the Federal and State level of which most parents are unaware. Learn more about what services are provided to children once they are found to have elevated lead levels. When a person buys or moves into a home, there are laws in place to help them be informed of known hazards. Historically these laws have not been enforced and families are unknowingly buying or renting homes with lead hazards. Attend this workshop to learn more about the local, state and federal laws that help protect tenants or home owners.